Are you frustrated with your current concrete supplier? Call us and see what everyone is talking about. Having trouble getting concrete at 8-00am ? We specialise in supplying concrete to " The Little Guys" in the industry. We treat you like a real person, not a number like other suppliers. Concrete Sales provides good old fashioned customer service to all of its customers. 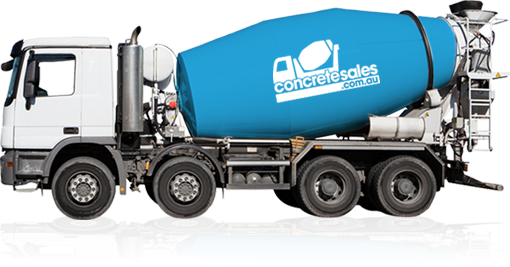 Concrete Sales will deliver concrete where you need it, when you need it. We have access to over 300 CONCRETE PLANTS which includes all the major suppliers, all with one phone call. Does your concrete supplier try and source the concrete for you from another supplier ? Of course not. So why would you continue to use them ? Concrete Sales is changing the way people buy concrete. Are you able to book 15m3 of concrete for 7-00am ? They will tell you NO. Due to the volumes of concrete we purchase, our suppliers will take these booking from us. If you need 0.4m3 to a garden shed, 8m3 to foundation for a front fence or even 45m3 for a house slab extension, Concrete Sales has you covered.